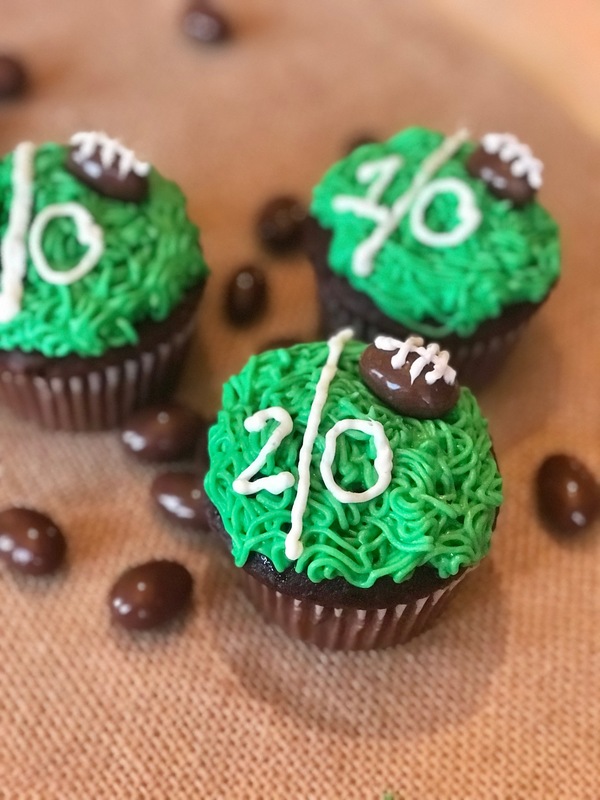 It’s time to break out all things FOOTBALL and these Football Cupcakes are the perfect addition to any party you are hosting! I’m going to show you a super simple way to make these cupcakes sure to make anyone swoon! And the best part – it’s super easy! If you’ve followed me long enough, you know I use boxed cake mixes in almost all of my baking. Duncan Hines and Betty Crocker have perfected it so why recreate something that isn’t broken. Typically I just add or replace a couple ingredients along the way making it “mine”. For this dessert you’re going to need the following! I mixed the cake mix according to the package directions and just added 2T of almond extract. I always add an extract that complements the cupcake to every mix I use. The almond extract was perfect for this one. I am not a huge nut lover – but it wasn’t overwhelming. 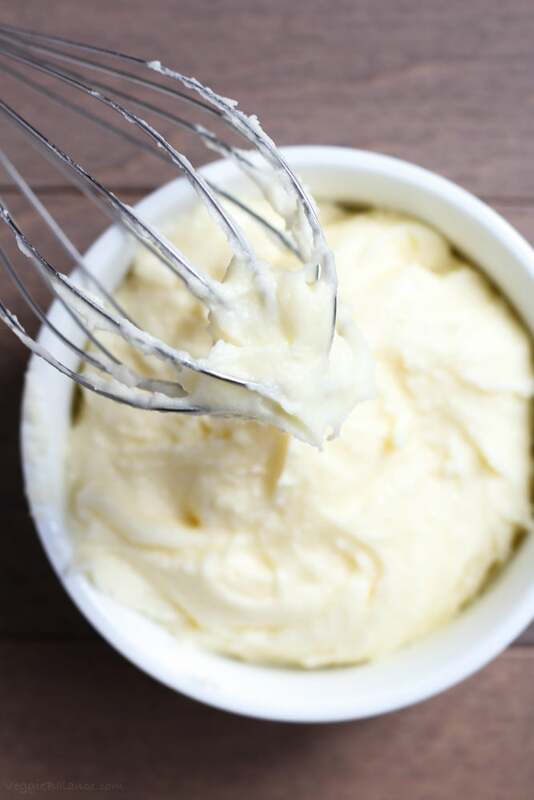 While you cupcakes are cooking and cooling, you can whip up the buttercream icing! You want it to be a somewhat thick consistency so the grass “stands” up in the finished design. Separate a small portion of white and using gel food coloring mix it into the remaining larger batch of buttercream. Using the gel food coloring will keep the consistency perfect! 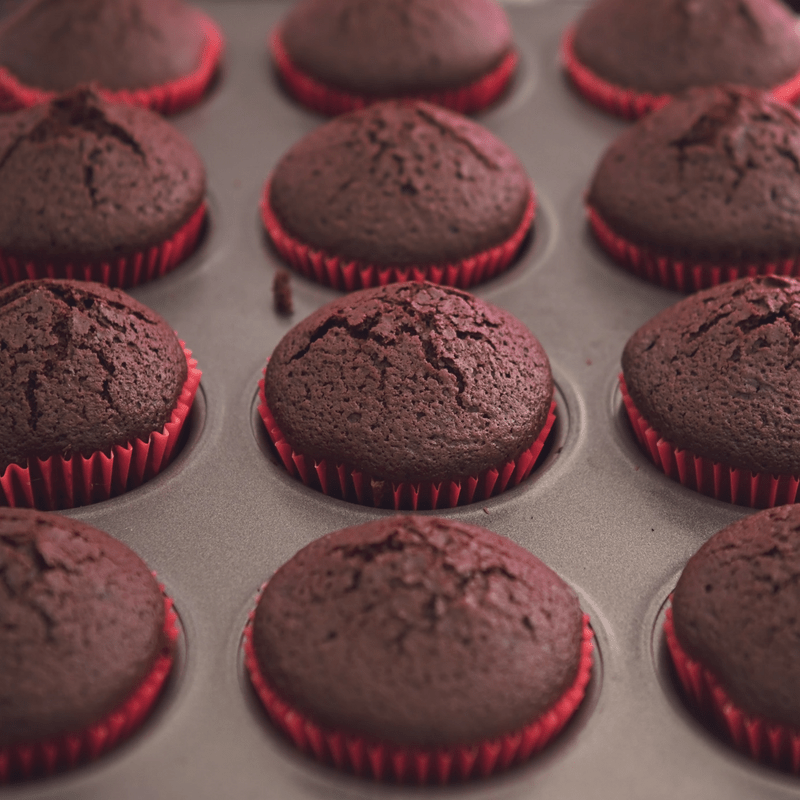 If you use the liquid it tends to slightly separate and it will show in some of your finished cupcakes. The decorating is my favorite part – that’s where you get to show your creativity! Don’t be fooled though! This treat looks hard to recreate but I promise it isn’t! It’s all in the decorating tip that you use. 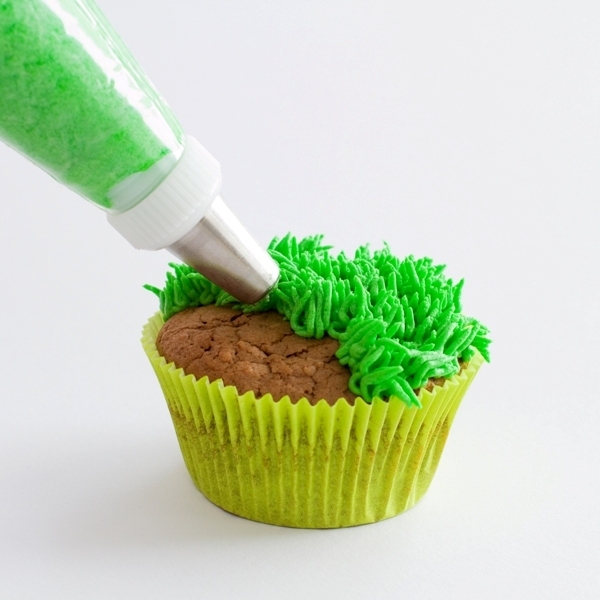 Using your store bought chocolate covered almonds, place it towards the top edge if the cupcake onto your grass. Using a writing tip for your icing, pipe football laces onto the top, as shown. Make yard lines and then number them! If you’re creating these for a football team, you could pipe their jersey number onto the top of the grass below the almond. Here’s an image for you to PIN to your Pinterest boards! 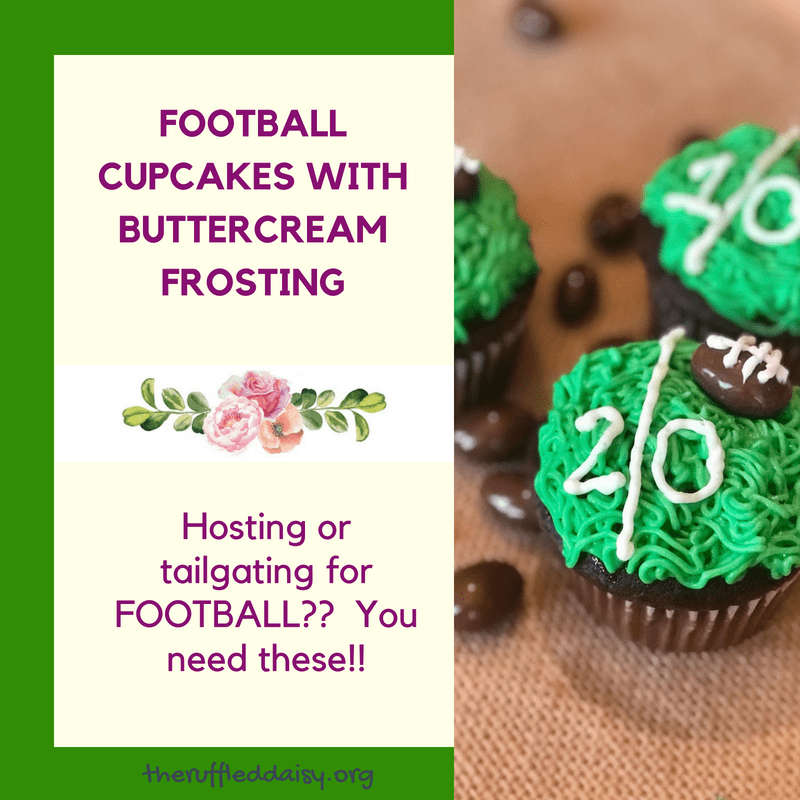 I’d love if you could PIN it for me and share it with your friends who love football or love baking! Making cupcakes that are stunning DOES not have to be overwhelming, as long as you have the right tools to help you along the way! This Wilton tip can also be used for so many things! What's My Definition - Five Ways to Find Yours!